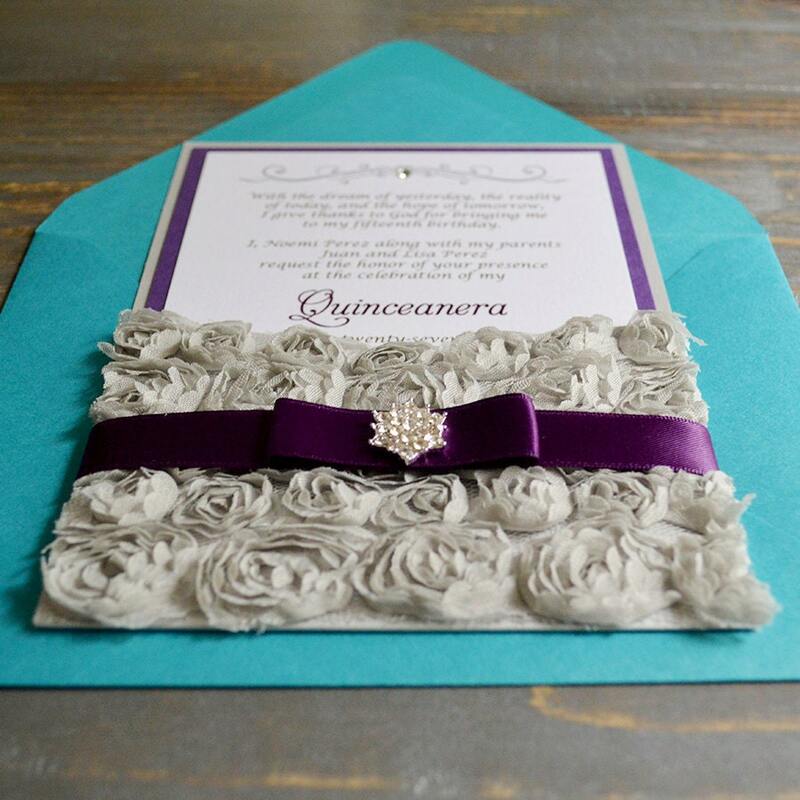 NOEMI- This customizable invitation is perfect for a quinceanera or sweet sixteen. 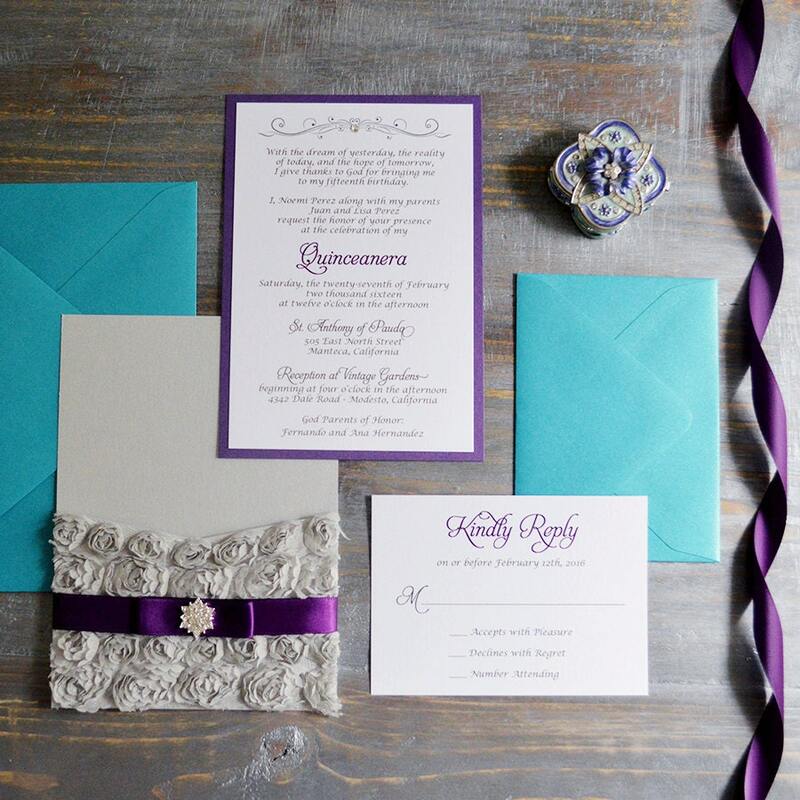 This listing features metallic stock paper in White backed in metallic Purple then placed in a silver rosette lace wrapped pocket with purple ribbon and finished with a crystal button. You will see proofs before I begin printing and assembling your order. If you would like to see a sample before ordering please select the SAMPLE option from the drop down menu and purchase. 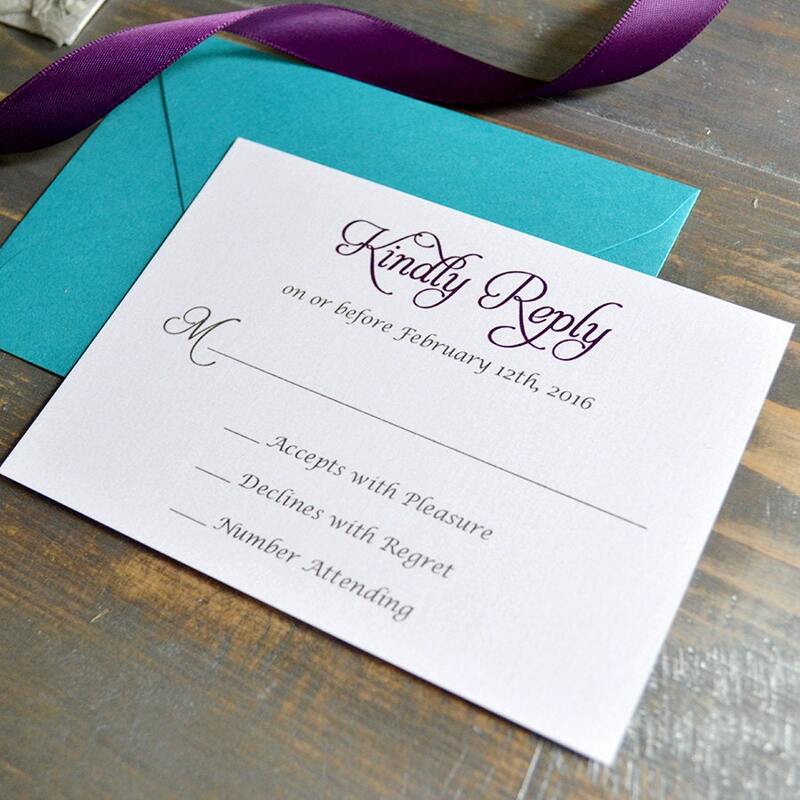 All Samples are $10.00 each and come with the RSVP card and envelopes. 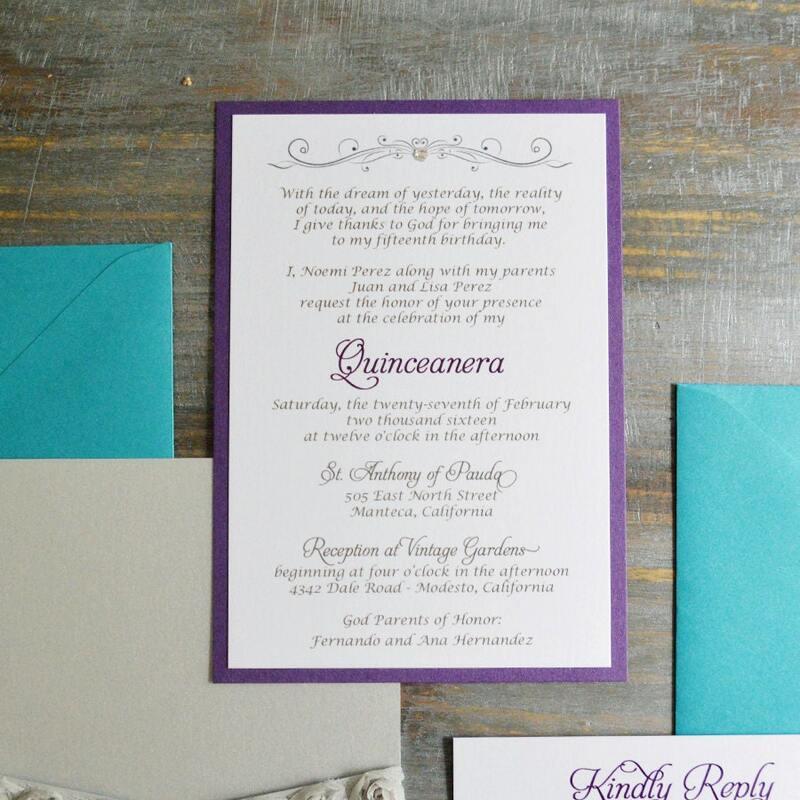 Sample wording cannot be customized and are sent so you can see the colors and quality of my work. You may request the paper colors of your choice. 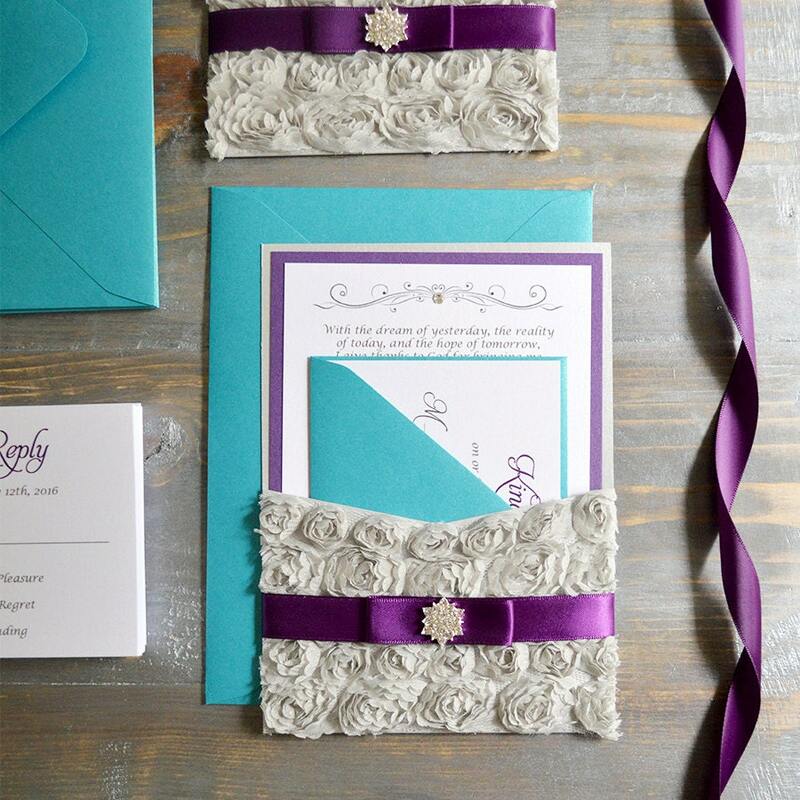 You may also request up to 4 swatches with your sample to see variations of some color choices. Please message me for details.